There's nothing quite like learning the techniques of tying flies and catching fish with a world-class teacher at your side. When you watch any of the Skip Morris DVDs, you learn virtually one-on-one with a master. 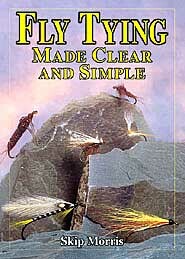 Skip's fly-tying and fly-fishing DVDs were each shot and reshot over several sessions. The challenge was to get the camera angle, the lighting, and everything else up to the highest level possible—and Skip and cameraman Brian Rose eventually did exactly that, with every one of their DVDs. Footage is first-rate, not only in the close-ups but from the wider front shots in which Skip stops to explain a process. The tying of every fly and a clear explanation for every technique was rehearsed and honed. to a high level of tying flies and fishing them. and the ease with which you tie them. 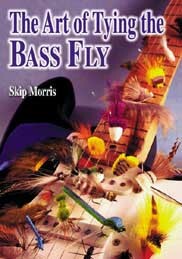 Some of Skip's DVDs are based on his popular fly-tying books. The DVD titled Fly Tying Made Clear and Simple closely follows the phenomenal best-selling book of the same name (currently in its 23rd printing!). The DVD The Art of Tying the Bass Fly is a handy companion to what has become the standard bass-fly-tying book (soon to be released in an updated second edition). 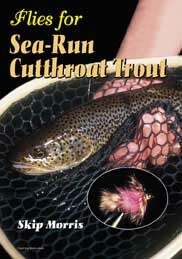 Other DVDs teach you to tie nymphs, to tie flies for the magnificent and mysterious sea-run cutthroat trout, and how to fish for largemouth bass and pan fishes. At the bottom of each DVD page we will post direct links to either (or both)The Fly Shop and Feather-Craft Fly Fishing, so you can buy DVDs directly from them.